Summer Camp – with Spirits! We’re not talking about ghost stories (though you just might hear some). 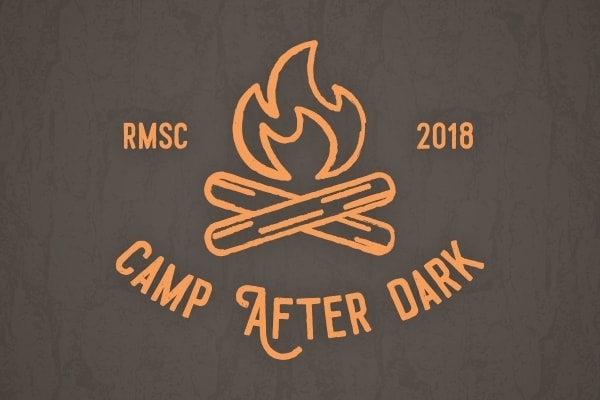 At Camp After Dark at the Rochester Museum and Science Center, you can return to the world of campfire songs, tie-dye shirts, and team games while sampling local spirits from TommyRotter Distillery! Other goodies will be available from food trucks and cash bars, but the refreshments are just the beginning. This adults-only (21+) camp-style experience will feature fencing matches, pick-up volleyball, and a Rock, Paper, Scissors tournament. Guitarist Alphonso Williams will be plucking campfire songs while you craft a glow-in-the-dark boondoggle, try string painting, or die-dye your own t-shirt. All the wonders of the RMSC will be your playground, so be sure to explore the shows, activities, and outdoor campus. After dark, head to the Strasenburgh Planetarium roof to stargaze with astronomers from the Rochester Academy of Science. Camp After Dark 2018 will take place Saturday, August 18th, from 7 to 11 pm. Admission is $15 for museum members, $18 for the public, and $35 for a VIP experience that includes early access, a t-shirt for tie-dying, and liquid nitrogen ice cream. Pre-purchasing tickets is strongly encouraged. Valid ID is required for entry.